There is nothing worse than having your website flagged by Google for containing Malware. Thankfully, there are many free tools you can use to protect your site from Malware and Viruses. In this tutorial I’ll show you how to protect yourself. For further information on fixing a hacked website click here. This is a real time check of the page, not a dated previous check, which is very nice. You can click the image to the left for a larger view. 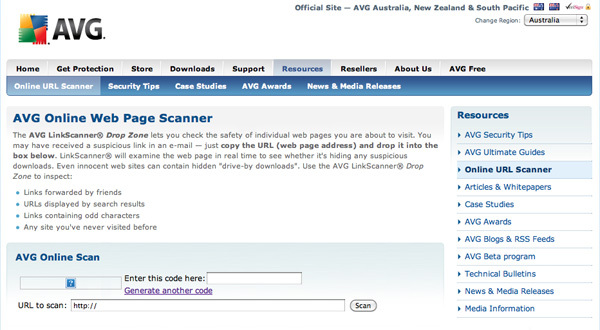 Just type in the captcha code and the web page you want to analyze and hit the scan button. Hopefully your happy with the results that are returned? AVG also offers free virus protection for your computer on their site. Google also provides a tool that will check your entire domain for Malware. Just type http://www.google.com/safebrowsing/diagnostic?site=yourdomainname.com in your browser. Make sure you type your domain name in the area I have highlighted in blue. You hopefully will receive the same results I did in this image. If your results are positive you are probably safe from the Google ban, but try the next scan to make sure. 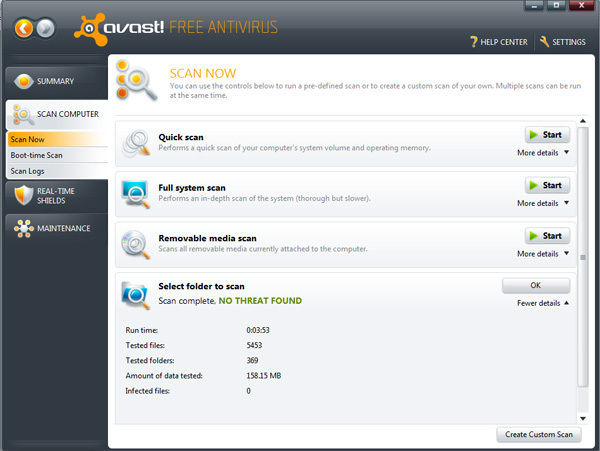 Avast offers another free way to check your entire domain completely. All you have to do is download your whole site to your desktop. Then follow these steps to check the entire site for malware. Click Scan Computer and then Scan Now. You will want to select the folder that contains your downloaded website by clicking Select folder to scan. 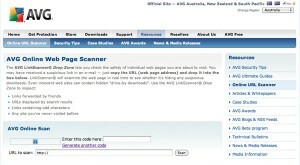 Then locate the web site you want looked at and start the scan. Hopefully your happy with the results? Avast antivirus tells me that my website contains a trojan horse – JS:Redirector-YG[Trj]. It tells this when I open the site very first time in a browser, then afterwards it blocks it. But strangely when I download the whole website and scan it, it doesn’t find anything! Do you know anything about xn--80ahadznmbq.com ? Have you used the tool from Sucuri? I checked your site and didn’t get any warnings. Google may have just needed some time to update.